We will be closed for inventory on Saturday, March 30th. We will still be doing Saturday deliveries as long as the order is placed by noon on Friday. Sorry for any inconvenience this may cause. 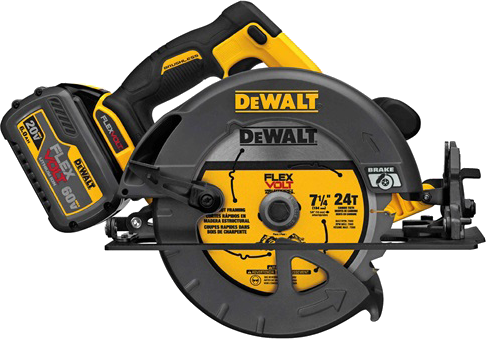 Including the FLEXVOLT™ 60V MAX circular & brushless reciprocating saws, and the 12V MAX 3 x 360 Green Line Laser, we stock a wide array of powered and hand tools made by DEWALT®. Drop by one of our locations and speak with one of our experienced sales associates today! 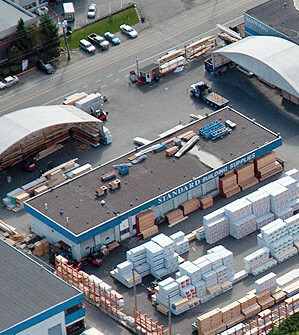 With their paved access and a well-organized racking and shelving system, both Standard Building Supplies’ Burnaby and North Vancouver lumber and sales yards allow you to quickly and conveniently find what you need and get on with your day. When it comes to building supplies, every contractor has their Standard. At Standard Building Supplies Ltd., we help commercial contractors like you rise above their competition by supplying your construction, renovation or restoration projects with the lumber, engineered wood, trusses, doors and windows, or milling that keeps them moving forward. 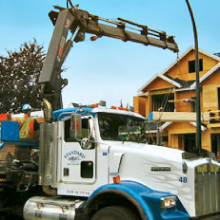 Our large delivery fleet, exceptional customer service, and extensive product knowledge ensures that you get the building supplies needed to get the job done to the highest standard. © 2019 Standard Building Supplies Ltd.